Google spilled the beans on when we can expect them to announce the Pixel 3 and Pixel 3 XL. 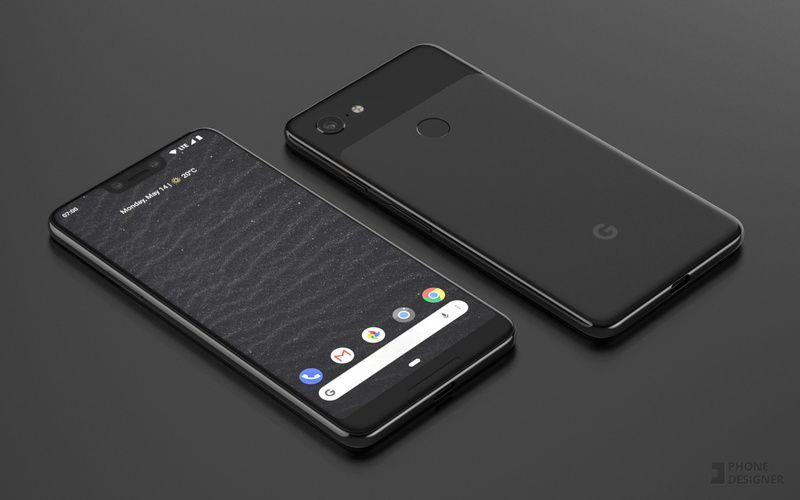 According to a listing on Famebit, a YouTube-owned website that pays YouTubers to be influencers, a listing from Google has shared the exact launch date of their next Pixel phones. October 4 is the day. That sound familiar? That’s because they launched the original Pixel and Pixel XL, as well as the Pixel 2 and Pixel 2 XL, on October 4 in 2016 and 2017, respectively. Google seems to be fond of October 4, for whatever reason. RELATED: Is Android P rolling out early? Verizon thinks so. 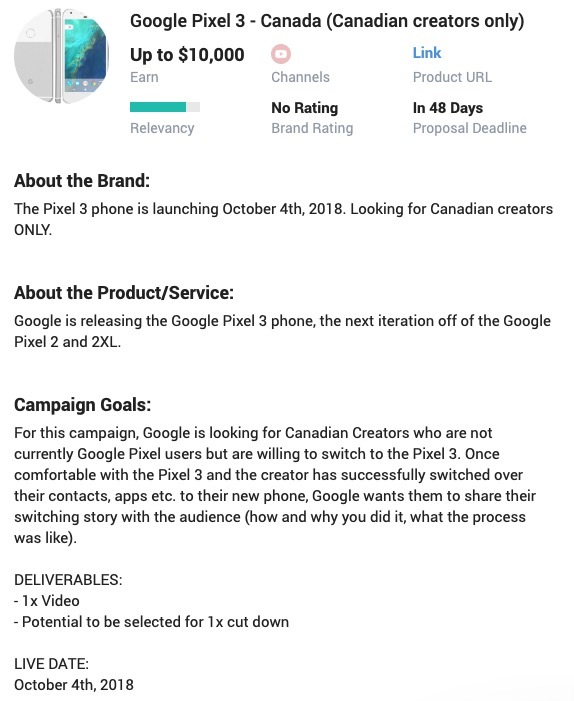 There was a listing (seen below, which we’ve confirmed to exist) on Famebit that was spotted by YouTuber This Is Tech Today that said specifically, “The Pixel 3 phone is launching October 4, 2018,” and that Google was “Looking for Canadian creators ONLY” to talk about it or help hype it up in some way. They wanted Canadian creators who were not currently Pixel users to switch to the Pixel 3 and share that story. They want those sponsored videos to go live on October 4, 2018. So there you have it – the Pixel 3 and Pixel 3 XL will arrive on a familiar date. You excited or still mad at the notch, bro?